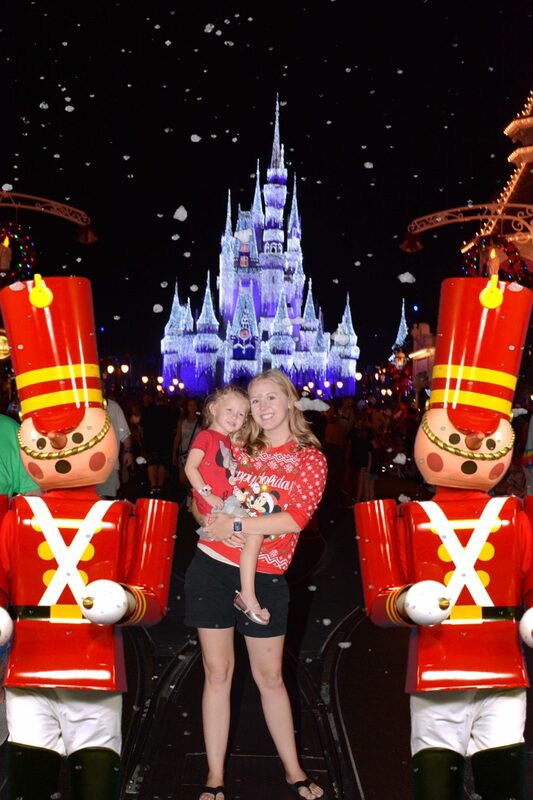 Planning to spend the holidays at Disney World? 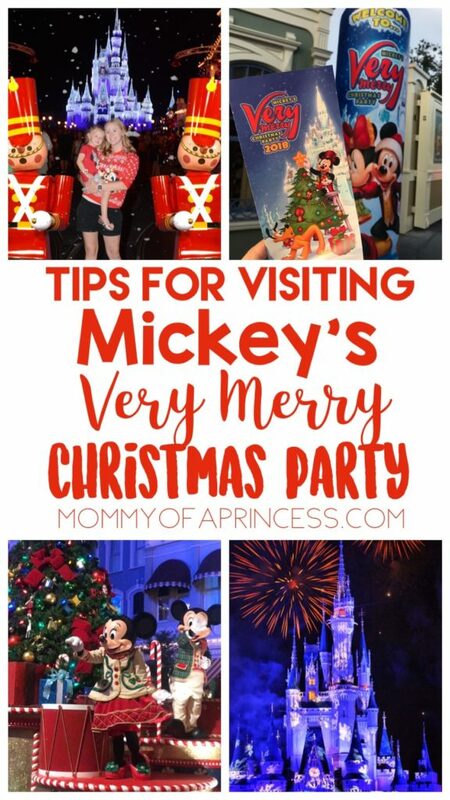 Make your visit extra magical with these tips for visiting Mickey’s Very Merry Christmas Party. 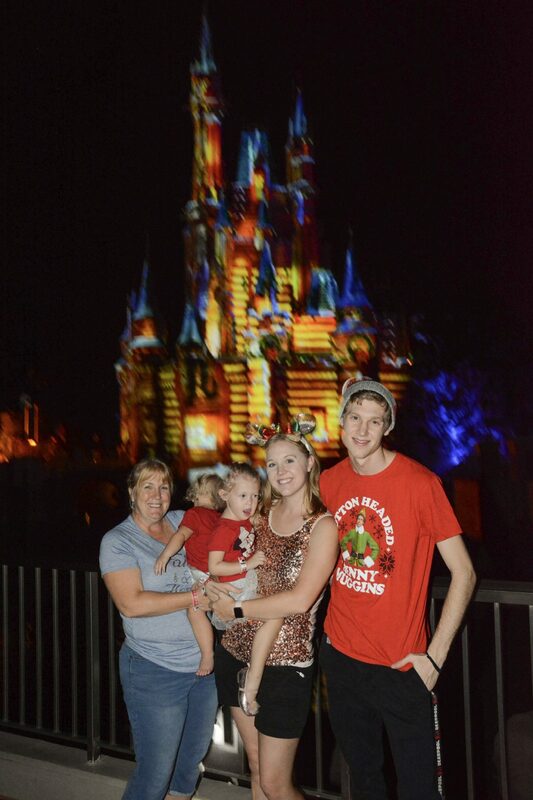 Post sponsored by Walt Disney World. All opinions are my own. Prices vary based on event night. I highly recommend going on a Tuesday for the least crowded events! $10 advance purchase discount available for all event dates except December 21, 2018, when full day-of purchase price will apply. Be sure to purchase your tickets online. The event we attended was completely sold out! Be sure to buy your tickets in advanced (not only to save money) but to ensure you can attend. While the party doesn’t start until 7pm, you can enter the park as early as 4pm. I highly recommend arriving early. 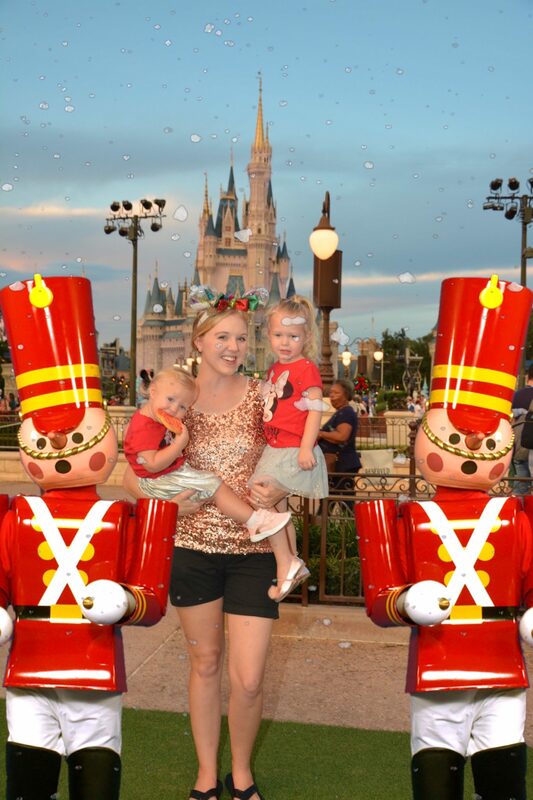 You can take lots of party photos upon arrival (see below for more), grab something to eat and maybe even experience a few attractions before the party officially starts. Definitely take advantage of this time so you can focus on party exclusives during party hours. TIP: Pick up an event guide upon entrance! This guide will hold the key to all showtimes, character locations, treat spots and more. The app doesn’t show special event info, so this guide is a must have. There are a few things I highly recommend you bring to ensure your party experience goes smoothly. A Stroller– If you have kids, you’ll definitely want to bring a stroller. Not only will this come in handy when your kiddos get tired (especially if you’re staying until midnight) but it will also hold all your yummy treats for later. Glow in the Dark Stuff– The party takes place at night so glow in the dark necklaces are always a huge hit! 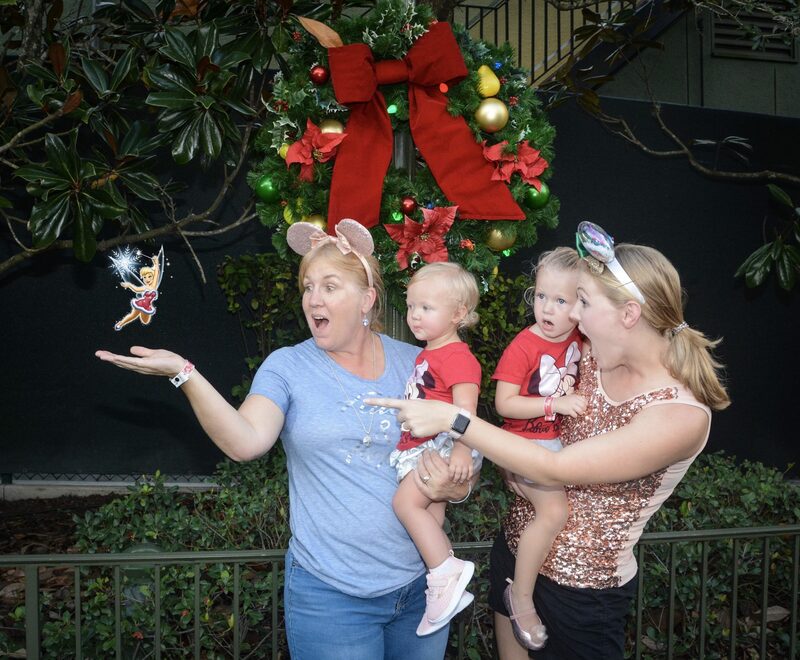 Disney sells light up necklaces, but kids will be just as happy with a cheap Dollar Tree version and you can save the money for souvenirs or treats. Water & Snacks- Admission includes party treats, but they’re mostly cookies and sweets! Bringing pretzels, Goldfish or fruit will help offset the cookies and you always need water to stay hydrated. Photos along the exclusive party walkway (to the right) LOTS of props! Cookies are also individually packaged this year which means you can eat them on the go or save them to take home. Alternative healthy and gluten-free options are available upon request. There are additional treats available for purchase. We tried the Sugar Rush Jumbo Cupcake (available inside Starbucks). It was delicious! 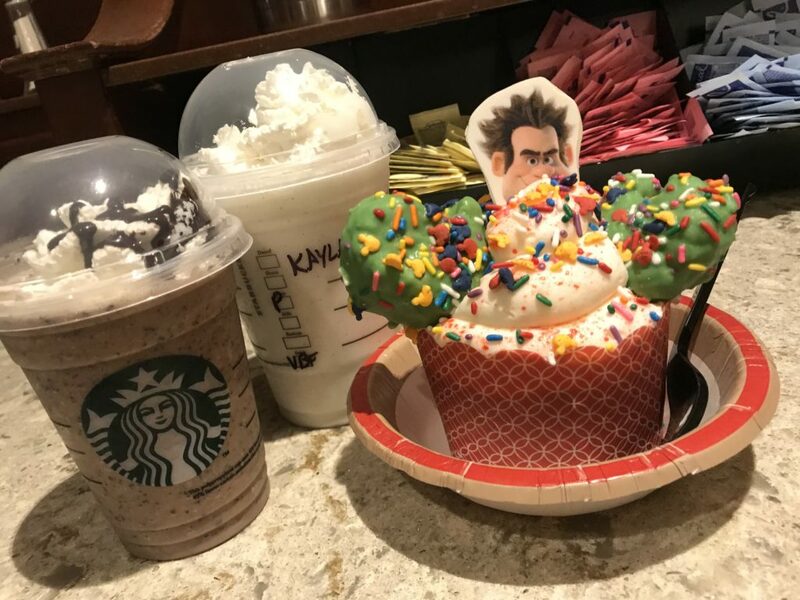 Red Velvet cake with peppermint icing, assorted candy, sprinkles, and a white chocolate Wreck-It Ralph piece. 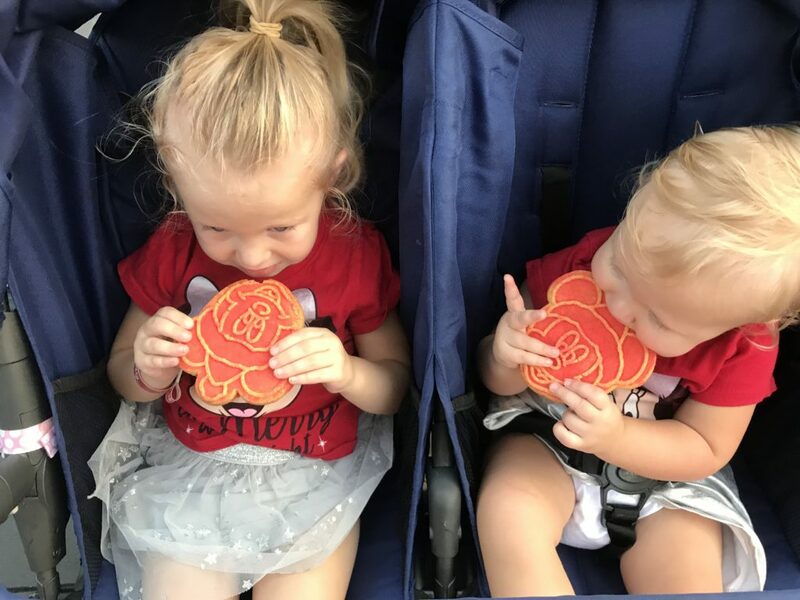 Read more about the treats in the 2018 Foodie Guide. Santa Claus – near City Hall. Doesn’t meet during the parades. Can meet during the day! Jack Skellington as Sandy Claws and Sally – inside Town Square Theater. Line up early! Meet and greets start as early as 4:30pm. Wait until the very end for shortest waits. 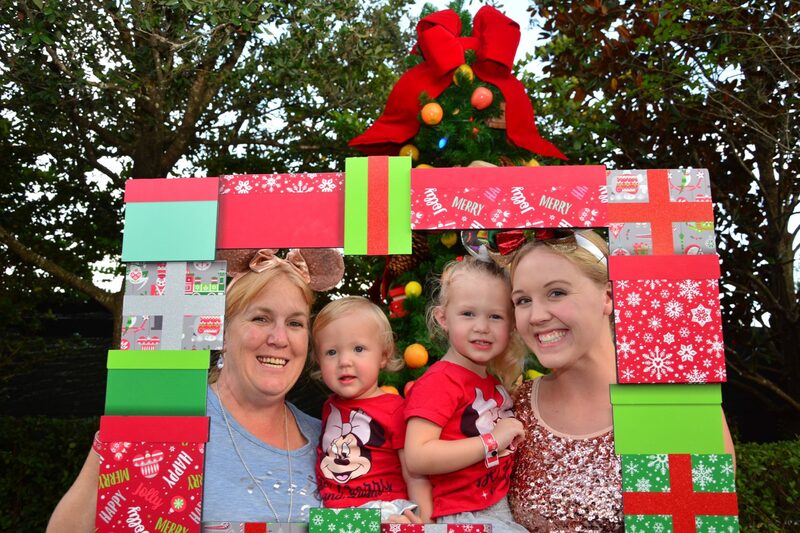 Located in Storybook Circus (not far from where you can meet the Seven Dwarves) is the Disney Junior Jingle Jam. This high energy dance party features favorite Disney Junior characters such as Vampirina, Timon and Doc McStuffins. While the characters don’t pose for photos per say, you can snap a quick photo as they make their rounds dancing. This is a fun event for little ones! Another awesome dance party takes place inside Cosmic Ray’s Starlight Cafe. 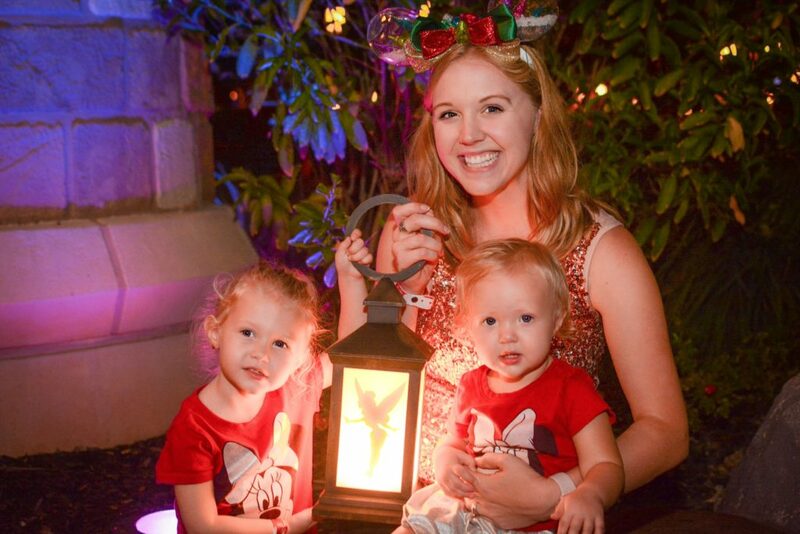 This party features dancing reindeer, polar bears and elves from the North Pole. My 3-yr-old loved dancing here! 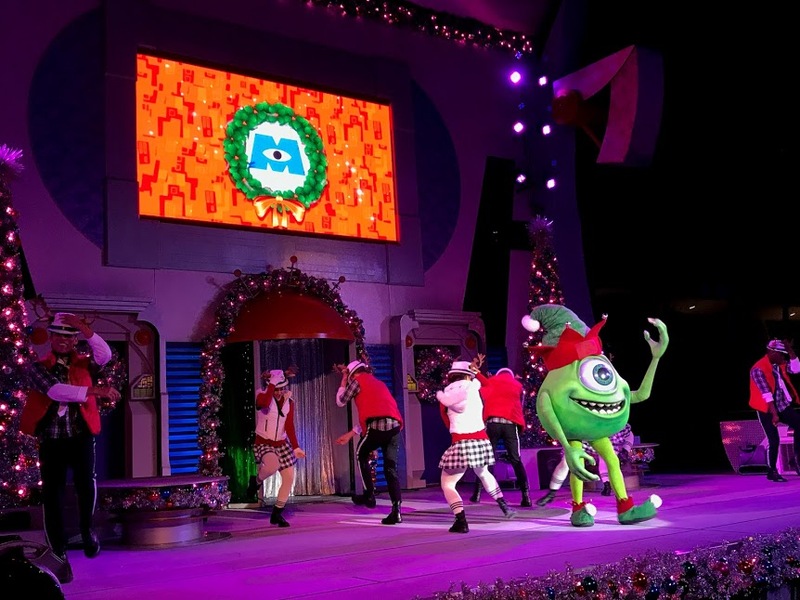 Hosted by Mike from Monsters Inc, Buzz Lightyear and Stitch dressed as Santa, this show is lots of fun. We enjoyed classic Christmas music with some of our favorite characters, plus they made it snow at the end and Santa soars through the sky. Shown nightly at 7:45pm, 8:35pm, 9:25pm, 10:45pm, 11:35pm on the stage between Space Mountain and the People Mover. In between showings, an a cappella group will sing holiday favorites at 8:10pm, 9pm, 10:20pm, and 11:10pm. 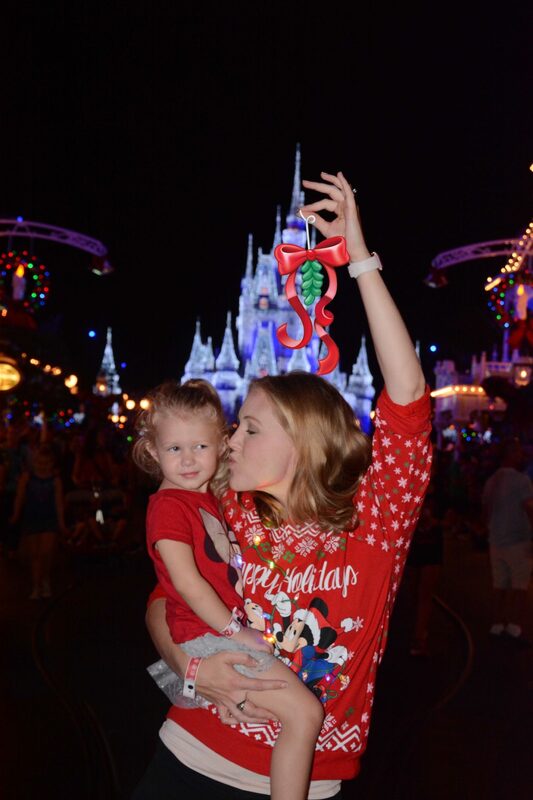 One of my daughter’s favorite parts of the event was watching Elsa light up the castle. This happens twice, once during ‘normal’ admission hours and again at 8pm once the party has officially started. I recommend seeing the first one to beat the crowd. 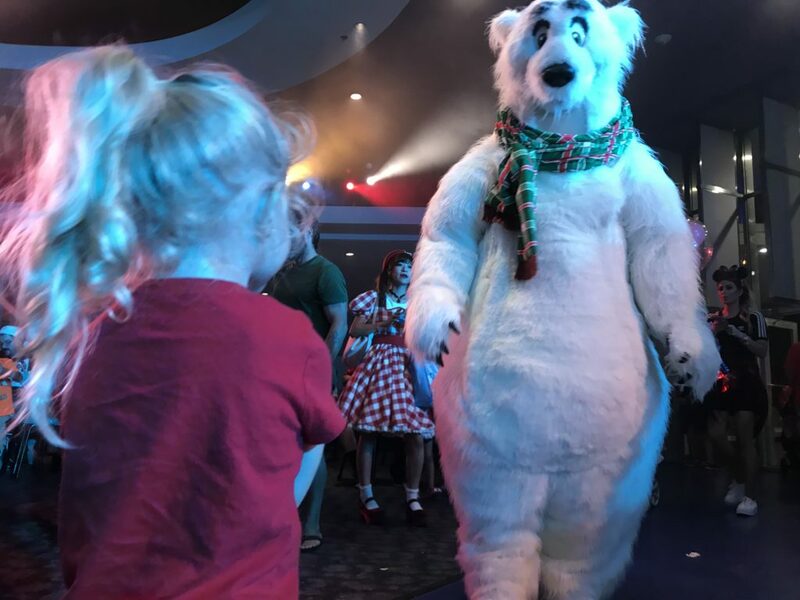 This show is spectacular with all your favorite Disney characters singing and dancing along to classic Christmas carols. Shows happen at 7:40pm, 9:25pm., 10:30pm, 11:55pm. The closer you can get to the Castle stage the better! 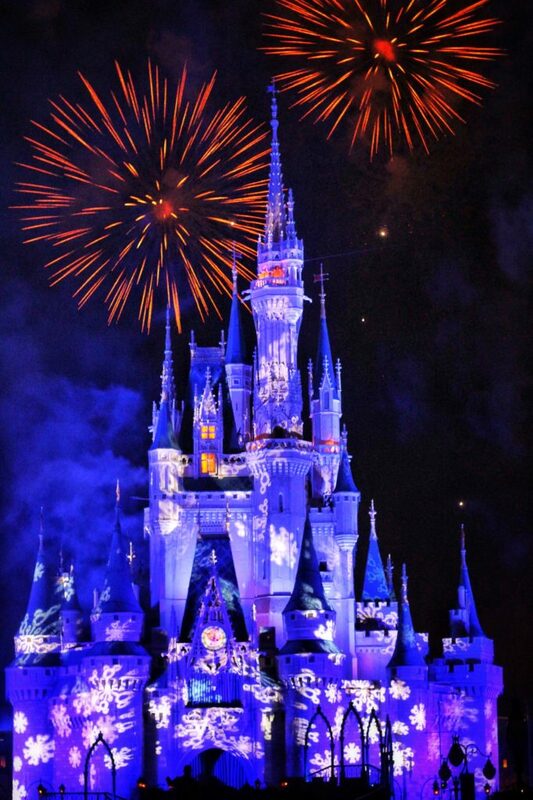 It’s not Disney without fireworks! 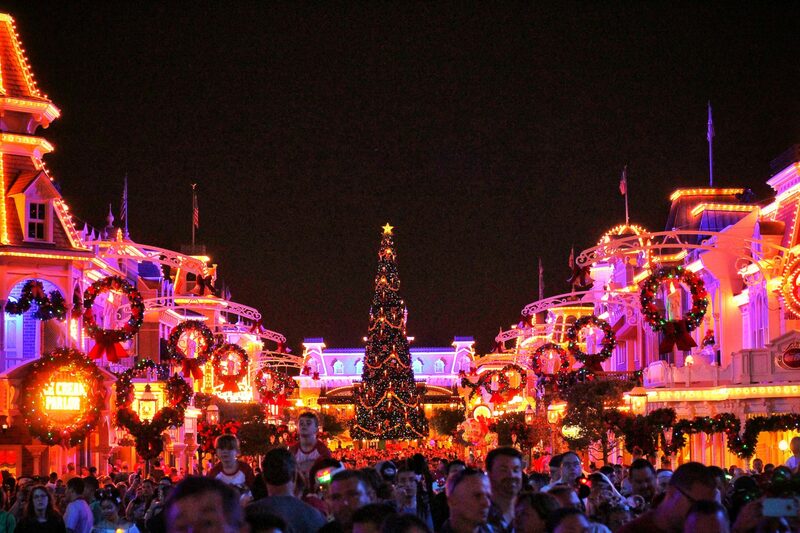 Holiday Wishes is a spectacular firework display set to favorite Christmas music. To get the best view of this show, I recommend standing a little farther back from the castle. Centered, close to the end of Main Street is the perfect vantage point. This parade is incredible and a MUST see. There are two showtimes, 8:30pm and 11pm. The parade includes all of your favorite characters, Mickey, Minnie, Disney Princesses, Wreck it Ralph, Woody & Friends, Marching Toy Soldiers and more! My favorite viewing spot in ON Main Street. 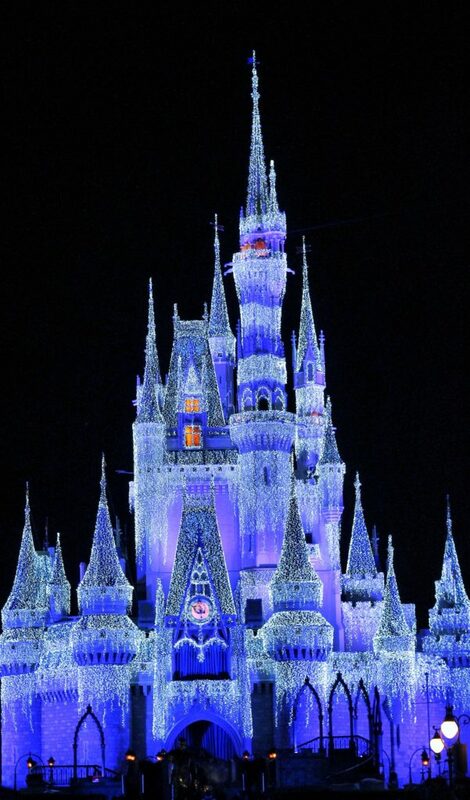 Not only will you have Cinderella’s Castle as a beautiful backdrop, but it SNOWS. It really makes the whole experience magical! 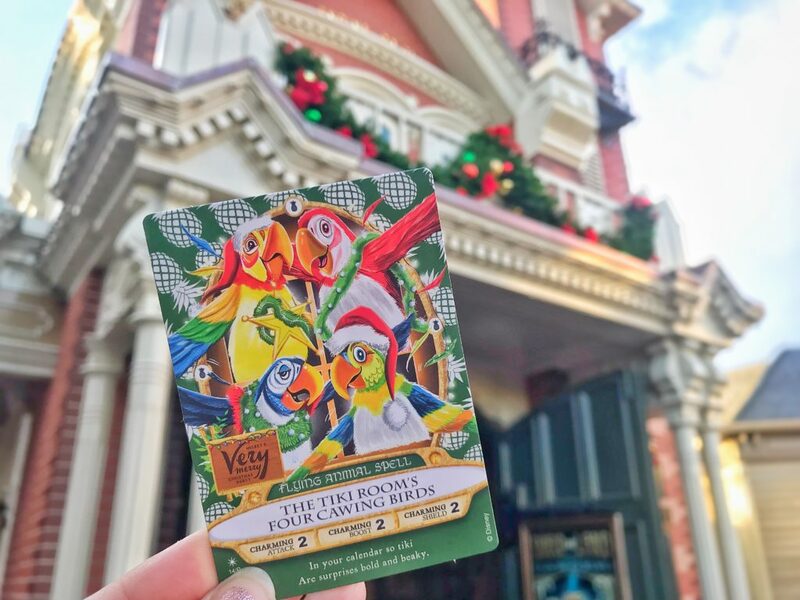 Don’t forget to grab your party exclusive Sorcerers of the Magic Kingdom game card too! 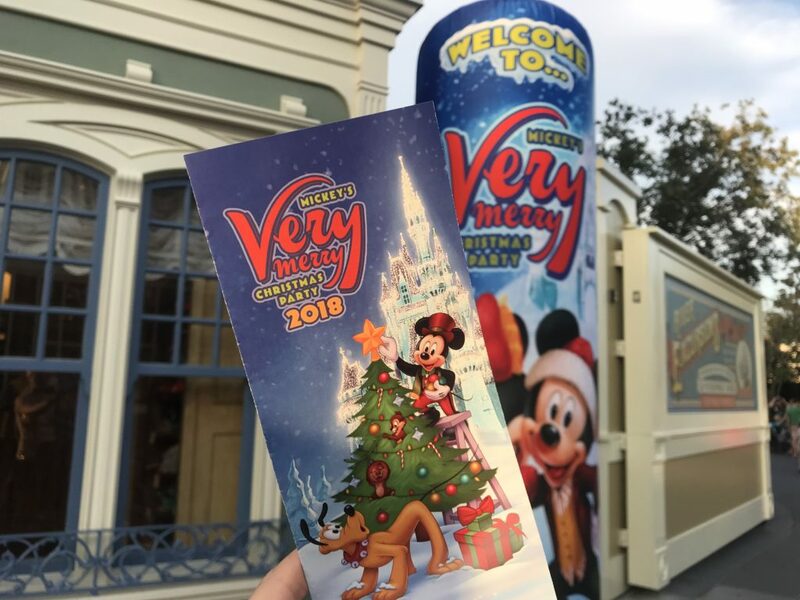 Have you ever been to Mickey’s #VeryMerry Christmas Party? Tell me your tips! 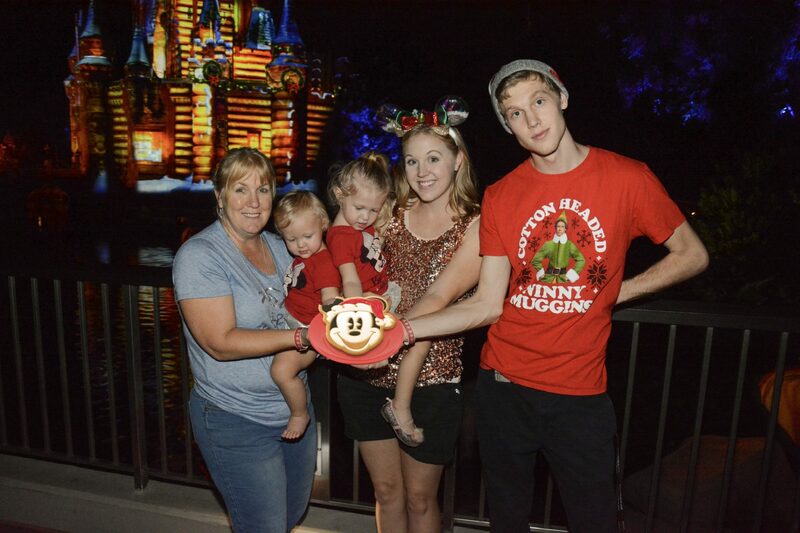 I was invited to attend a special Mickey’s Very Merry Christmas Party Media event in exchange for this post. All opinions are my own. 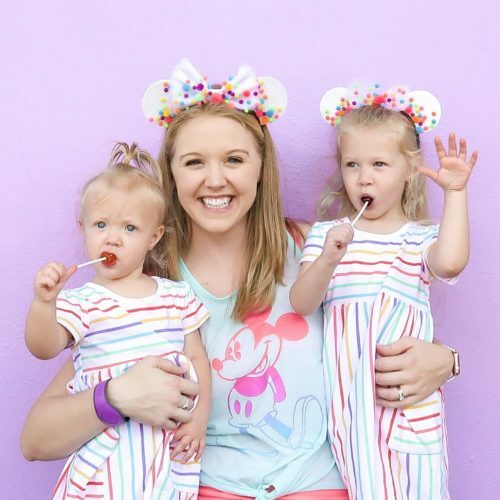 Follow along with our Princess Adventures on Facebook, Twitter, Instagram, Pinterest and YouTube for party planning ideas, family travel tips, kid crafts and more!